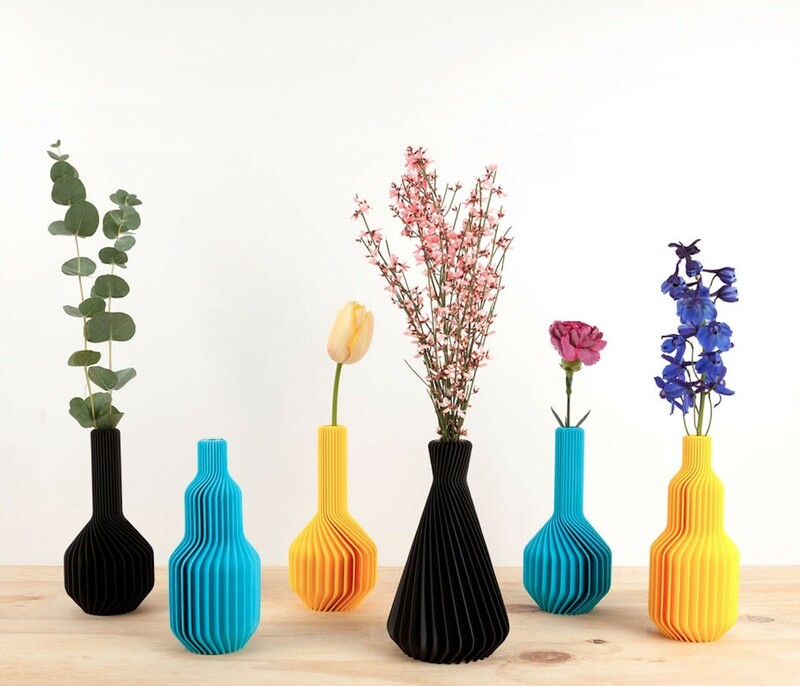 This Ridged Vase has a unique shape that can only be manufactured with 3D print technique. The CRE8 3d printers build the vase layer for layer on from PLA, a bio-plastic made from plant waste. Apart from this black conical Ridged Vase, there is a staggered Ridged Vase and a long neck Ridged Vase. Pretty eye-catchers thanks to the playful shapes. The unique shape of this Ridged Vase can only be manufactured with 3D print technique. The CRE8 3d printers build the vase layer for layer on from PLA, a bio-plastic made from plant waste. 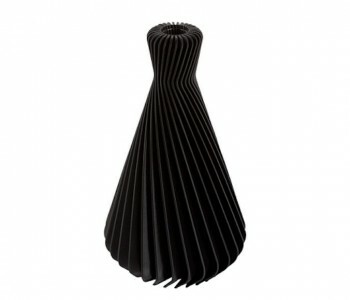 Apart from this black conical Ridged Vase, there is a staggered Ridged Vase and a long neck Ridged Vase. Pretty eye-catchers thanks to the playful shapes and a unique gift.